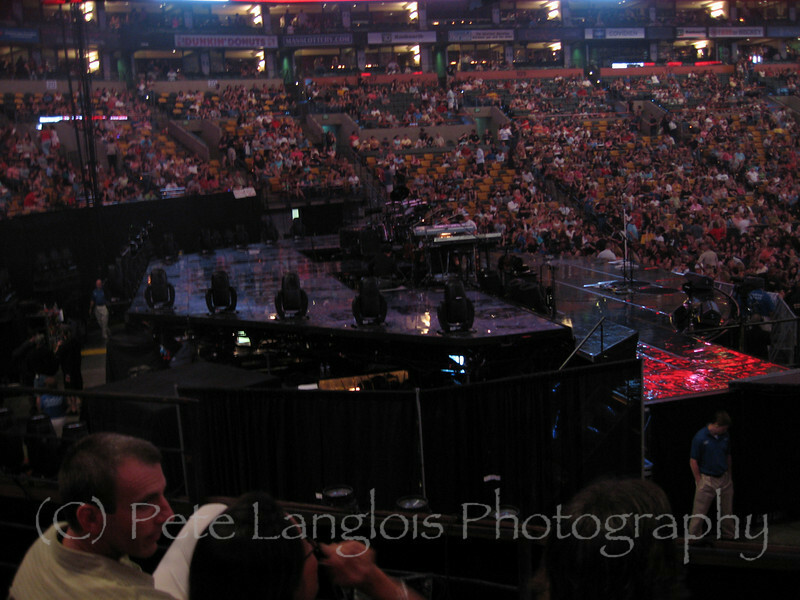 Bon Jovi has a spot to upload photos from concerts to his website so I'm putting these on my website. They are NOT for sale. These photos were taken from Loge Section 15, Row 13(Which is the 3rd row in the section) and they were taken with a Canon SD500 pocket camera with a 3x zoom. I wasn't even searched and it was a small Canon about the size of a deck of cards. I saw someone with a Nikon D40 around his neck. You can't miss that thing. Almost all concerts say no cameras but Bon Jovi's website has a place for you to upload your pictures of the show. There were hundreds of flashes going off during the concert so I'd take my chances with a small camera or cell camera.